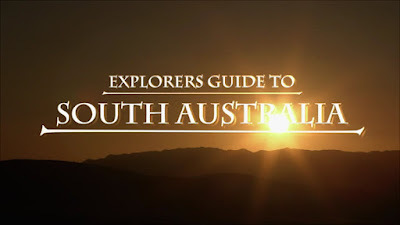 Check out this short video about exploring South Australia, there's no doubt SA has some of the most beautiful landscapes in the world ready for you to explore in your caravan, motorhome or camper trailer. From the rugged Outback to the glittering Southern Ocean, South Australia is known for its wildlife, food, wine and beauty. South Australia is vast, spanning nearly half a million square miles. With a population of around one point six million people, that’s just four people per square mile. Kangaroo Island is Australia’s third largest, and home to a remarkable range of wildlife. With over 800 native species of plants and rare sights like the endangered glossy black cockatoo, Kangaroo Island is typified by unspoiled wilderness and a magnificent selection of flora and fauna, including the kangaroos that give it its name. Just over a thousand sea lions live and breed in the Seal Bay Conservation Park, one of the most popular tourist attractions of Kangaroo Island. Marine life thrives all across the shores of South Australia. The state’s coastline stretches for more than 3,000 miles, and after a flight of just 40 minutes from Adelaide the mighty Eyre Peninsula awaits. Baird Bay is a small fishing village situated on the west of the peninsula. Snorkelling here isn’t a typical experience, as the the coastal waters are home to Australian sea lions and pods of dolphins. Adelaide, the state capital city, was founded in 1836 as a planned, freely settled colony. It was a place where immigrants could settle free from religious persecution. Nowadays the city remains a vibrant, bustling cultural centre, home to thriving markets, a lively night scene and dozens of festivals a year. From Adelaide’s beautiful architecture to a wealth of museums detailing its immigrant settlers, Adelaide does not shy away from its multicultural history. For example, the South Australian Museum houses the largest collection of Aboriginal ethnographic material in the world. Climbing away from the coast and the bustle of the city are the quiet, rural hills of the Barossa Valley. The Barossa is world-renowned for its red wine, and over 150 wineries lie within an hour’s drive from Adelaide. But the Barossa is not only home to wine. It’s one of the world’s top culinary destinations. The vibrancy of South Australia doesn’t end in Barossa. Follow the Stuart Highway north, beyond the hills and the vineyards of the Clare Valley to where green turns to red and the Outback begins. For many the jewel in the crown of this region is the dramatic stretch of rock known fondly as the ‘Organ Pipes’. Gawler Range. Enormous, solid volcanic rhyolite is stacked in the cliff face here, ranging in size from stony grinning teeth to the elongated pillars that remind so many people of magnificent organs. The rugged landscape of the Flinders Ranges epitomises the romanticism of outback Australia: big skies, incredible sunsets, and sun-baked desert as far as the eye can see. In the summer it’s a hot, dry landscape. It might seem daunting at first, but look a bit closer and you’ll find the place teeming with life. The Flinders Ranges have also been inhabited by humans for thousands of years. Aborigines have walked in these hills since long before European settlers arrived, using the plants and the rocks for food and creating art. The Flinders Ranges are now home to numerous towns and villages scattered along the highway. The area is accessible as a destination for hiking, cycling, camping and wildlife watching, giving visitors a taste of the iconic outback. Rawnsley Park Station is a working farm that has managed to find a way to blend sheep farming and tourism. The owners provide scenic flights over the spectacular geological formation, Wilpena Pound. Wilpena Pound is an ancient valley floor amidst mountains that have been eroded over hundreds of millions of years. Its golden walls are formed of highly resistant quartzite and sandstone. The area is protected from mining and most human impact other than tourism. Nowadays, 4x4s can be seen roaming along the ridgetops that command spectacular views of the timeless landscape. Life can nevertheless be found all over the northern reaches of South Australia. The emu is a large, flightless bird, endemic to Australia and a close relation of the ostrich. Its long legs allow it to reach speeds of up to 30 miles an hour. It has become an iconic image of Australia. 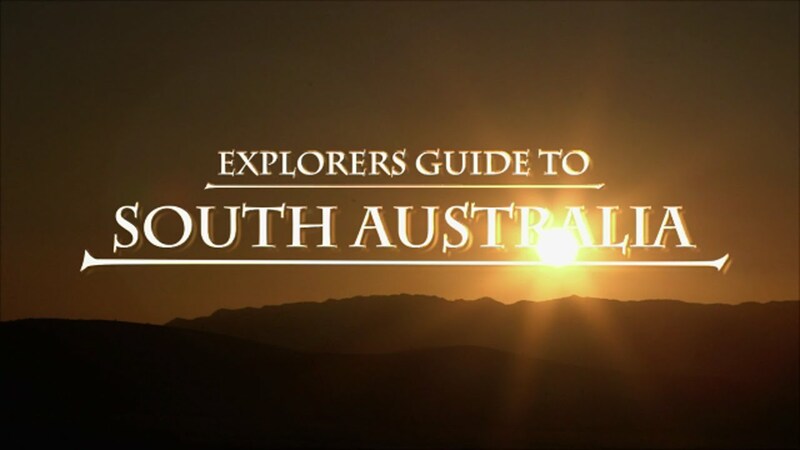 Continuing up the spine of the country, we reach the northern regions of South Australia. This is opal mining country, and the Painted Desert may seem barren, but can be extremely lucrative for those willing to work. The town of Coober Pedy is the opal mining capital of the world, known for the way its people live underground in dugouts to escape the fierce desert heat. We’ve travelled from the crystal waters of the Southern Ocean to the dry beauty of the outback, covering one of the most magnificent states in Australia. The Explorers’ Way crosses the state border, slicing the country in half as it continues into the Northern Territory.